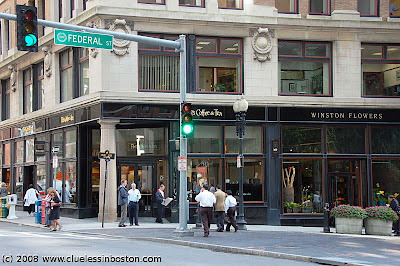 My favorite coffee store, Peet's Coffee and Tea" on Federal Street, near South Station. Peets Coffee? In Boston?! I thought it was just a West Coast thing. Well, thank goodness Beantown has more than just that other big name coffee place!